Comprehensive asbestos surveys in Birmingham may now thankfully be widespread practice, but that has sadly come too late for many of those to come into contact with the lethal substance. One such person was West Bromwich father-of-four Gary Williams, who was diagnosed with mesothelioma in October 2012, before dying in July 2013. Although mesothelioma – a cancer in the lining of the lungs – is strongly associated with exposure to the deadly dust, his family is still unsure exactly how that occurred, leading his daughter, Claire, to appeal for information from her father’s one-time colleagues at Rugeley Power Station, where he previously worked as a scaffolder. It was initially the 66-year old himself who instructed Irwin Mitchell’s specialist industrial disease solicitors to investigate whether every possible measure was taken to avoid him coming into contact with asbestos – a fight for justice that Claire has continued on his behalf. She and Irwin Mitchell are requesting that Gary’s former co-workers at the British Building and Engineering Association (BB and EA) between 1965 and 1971 get in touch with them. Not only is it thought that these workers could possess invaluable evidence concerning the substance’s presence at the various sites where Gary was contracted to work, but they may also be able to provide insight into the company’s working conditions. Gary was handed his devastating diagnosis of terminal disease at a time when the family was still struggling to come to terms with his wife Betty’s sudden death in summer 2012. 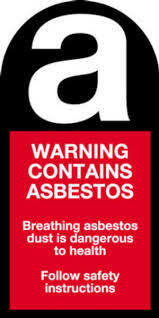 A court date has finally been given for the prosecution of Waltham Forest council, on account of an alleged breach of asbestos health and safety regulations. A government watchdog launched an investigation in 2012 after it was revealed that the local authority was aware of the presence of the potentially deadly substance within Waltham Forest Town Hall, but continued to send staff into the contaminated rooms, which were used to store thousands of documents. Many staff members may have spent protracted amounts of time around the substance, with the affected areas being used from 1984 all the way up to 2012 – a total of almost 30 years. The council admitted to knowing that three types of asbestos were present in the building, including blue asbestos – the most dangerous variety. It insisted that levels were within government guidelines, but locals remained concerned when it was reported that around 5000 bags of paperwork were going to be destroyed due to their potential contamination. This was not the first time the authority allegedly failed to protect its citizens from asbestos. In 2010, another investigation indicated that the council had not properly managed or monitored the levels of asbestos in local schools. The Health and Safety Executive (HSE) will now bring the reportedly responsible council members to prosecution on January 19 at Westminster Magistrates Court. Asbestos related health complications can take years to develop, but often prove fatal. Many workers exposed to the substance decades ago are now developing mesothelioma, lung cancer or asbestosis, with many companies being ordered to pay substantial amounts of compensation to them or their families. The unreported existence of the deadly substance in a government building serves to highlight the continued presence of asbestos across the country. Similarly, the upcoming prosecution of council members should act as a sharp reminder of the legal consequences involved in failing to make sure that all premises are fully compliant with appropriate regulations. If you believe that your home or building may contain asbestos, don’t ignore the problem. Instead, contact Trident Surveying today. We offer professional asbestos surveys in Birmingham and elsewhere in the United Kingdom, and could save you from the moral, financial and legal costs associated with exposure to this often deadly material. Yardleys School in Tyseley, Birmingham has finally reopened following a 6-week closure caused by an asbestos scare. The school closed in mid-October when a suspected arson attack perpetrated against a neighbouring factory led to the release of a dust cloud containing the lethal substance. With the school’s 975 pupils put at risk, not to mention a large number of teaching and support staff, the school was forced to close its doors. Rose Hughes, the school’s head teacher, posted a statement on Yardleys’ website stating that the school would remain closed until a safety certificate had been received to confirm the proper clearance of asbestos. Intensive cleaning of the school roof and building has now taken place, air filters replaced and ongoing air quality tests conducted, all by properly registered asbestos surveying personnel. The UK Asbestos Training Association stated that, despite the cost to the school, this was the correct decision to make to ensure that the premises were totally free of potentially fatal particles. The school has been forced to spend tens of thousands of pounds using an online tutoring service, and on hiring transportation to carry students between six venues made available for interim teaching. Estimates place the cost of these temporary initiatives at around £60,000. The cost of closure was substantial for Yardleys, but those costs pale in comparison to the potential health complications that may have resulted from an inadequate surveying of the affected area or a lack of ongoing air monitoring tests. Stories such as this serve as fitting reminders of the importance of companies, like Trident Surveying, that can quickly and reliably offer those services. Our asbestos surveys in Birmingham are made available to prevent problems like this occurring, while our ongoing testing services are similarly useful in ensuring any given area’s protection from contamination. Asbestos Surveys in BirminghamIf you are a home or commercial property owner or even responsible for the maintenance of non-domestic premises and are in need of asbestos surveys in Birmingham, Trident Surveying has years of experience and a team of highly reputable and experienced inspectors to get the job done quickly, affordably, and safely. We don’t just offer asbestos management surveys, refurbishment surveys and demolition surveys. We also offer expert an impartial advice which can be valuable when asbestos removal is a factor.Hiring a competent and knowledgeable company to complete an asbestos survey in Birmingham often means waiting for availability and also in some instances slightly higher costs. None of these you will be happy to know are associated with Trident Surveying. You cannot afford to wait, and Trident Surveying provides around the clock service, 365 days a year, 24 hours a day. 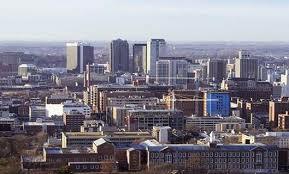 Our work is also 100% guaranteed and provided by a fully insured staff of experienced surveyors. We are very discrete and are 100% committed to providing the highest level of customer service for asbestos surveys in Birmingham.We regularly work hand-in hand with many different sectors of the construction industry, including architects, real estate developers, professional contractors, demolition teams, health and safety consultants, property managers, and facilities coordinators. 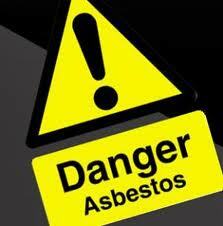 Completing a thorough asbestos survey in Birmingham does not need to be a costly and time consuming process. In some instances clients prefer getting surveys done by independent companies like Trident to ensure that they are getting impartial and reliable advice. Trident Surveying provides our customers with detailed reports that are easy to understand no matter who reads them and you can be confident that they comply with Control of Asbestos Regulations 2012.Contact us today where your 100% satisfaction is always guaranteed. Call 03333 441555 for a competitive quote on asbestos surveys in Birmingham or visit our website at www.tridentsurveying.co.uk that will save you both time and money. 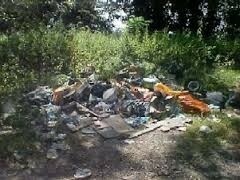 A fly tipper has been ordered to pay thousands of pounds to clean up his mess after being caught dumping waste. Some of this waist contained asbestos containing materials (ACM’s).Kevin Goodenough admitted dumping waste three times in the gardens of a council-owned property in Bellfield in Titchfield.The waste found in the front and rear gardens of the property included cement roofing sheets containing asbestos, bitumen roofing felt and other building materials. Bitumen roofing felt has also contained asbestos in the past and unless sampled should have also been treat as asbestos wasteFareham Magistrates Court sentenced 58-year-old Goodenough, of Hawkhurst Close in Southampton, to 225 hours of unpaid work.He will also have to pay Fareham Borough Council’s £1,000 legal costs and a further £5,000 to the council to clean up the rubbish, under the Environmental Protection Act.Deputy leader of the council, Cllr Trevor Cartwright said: ‘This is a great result for the council and sends out a strong message that fly-tipping won’t be tolerated in Fareham.‘Fareham Borough Council takes a zero tolerance approach in respect of fly tipping. Action will be taken for anyone caught fly tipping.